Published since 1929, the American Alpine Journal (AAJ) is renowned as the most comprehensive worldwide source of information on major new climbs. The 384-page book and frequently updated website document each year’s biggest new routes and wildest exploration in hundreds of first-person reports. The AAJ is delivered free to American Alpine Club members each August. 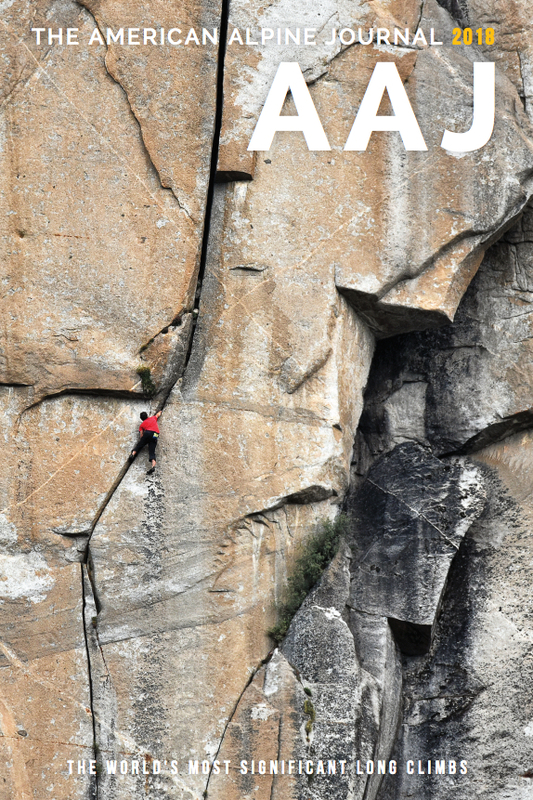 The AAJ publishes first-person reports about big new routes, first free ascents, and significant attempts and mountain exploration anywhere in the world. Most routes are at least five pitches long, but we make exceptions. Send your new route reports with this Submission Form. 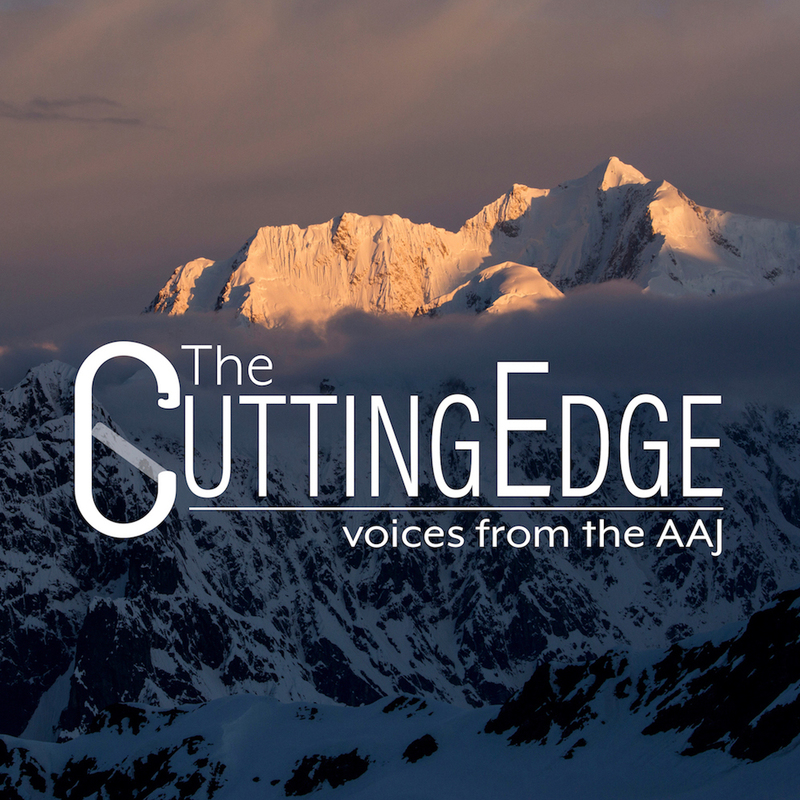 The monthly Cutting Edge podcast features in-depth interviews with the climbers who will be writing next year’s AAJ stories, just back from great new climbs. Presented by Hilleberg the Tentmaker and produced by the editors of the American Alpine Journal. Learn more about each episode and see photos from the climbs at the Cutting Edge webpage. Every article ever published in the AAJ (more than 20,000 reports) is available for free on this website, thanks to the generosity of AAC members and donors. We need your help! Volunteers: The AAJ depends on volunteer translators, proofreaders, regional correspondents, and online assistants. I want to help! The comprehensive AAJ Index (1929–2018) is a useful companion to online article searches. It allows you to quickly scan for alternative spellings of peaks and other locations.